I have been on Tetracycline (antibiotic) for about 6 months now and even if I didnâ€™t get rid of acne yet, I am controlling it very well. I got only â€œthe occasional pimpleâ€ from time to time. My main concern now is the red marks left by acne (hyperpigmentation). 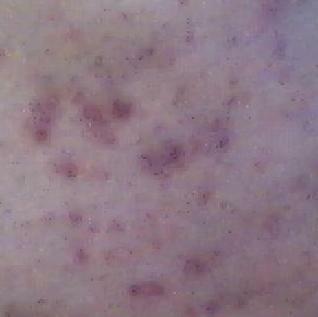 My skin is a little bit brown/dark (white but not Caucasian white) and the red marks persist a lot. I need something to make the healing go faster. I thought of purchasing glycol acid. Can you recommend me a good online buying website where I can get a kit or something I can do at home? Also, my dermatologist told me itâ€™s a good thing to go outside and get some sun. According to him, I donâ€™t have a hyper pigmentation problem, only some â€œblood vessel formed on the surface as part of the healing processâ€. What do you think of that? my face has the EXACT problem yours has (red marks). ive been on Benzaclin and Tazorac for about a year now but the results are very inconsistent. a month of barely visible red marks and no acne, aside little ones now n then, but there are months where im convinced that its doing NOTHING for my skin by the count of many new cystic n other kinds of acne.